I had many ideas and visions of what it would look like. I saved images of other murals for inspiration. At first it was fun but somewhere in the middle, I wanted to start over. Cover it up and have a perfect blank canvas to work with again. But instead I kept painting. Layer by layer the comparison loosened and faded and I let go of the expectation for it to be perfect. Soon the play, the joy and mess making returned too. It’s not how I thought it would look...but I love it anyway. The details, the drips and the making of. There’s joy and fun to be found in the process if we allow it. And there’s satisfaction in the messes in between the perfect start and the finished product. 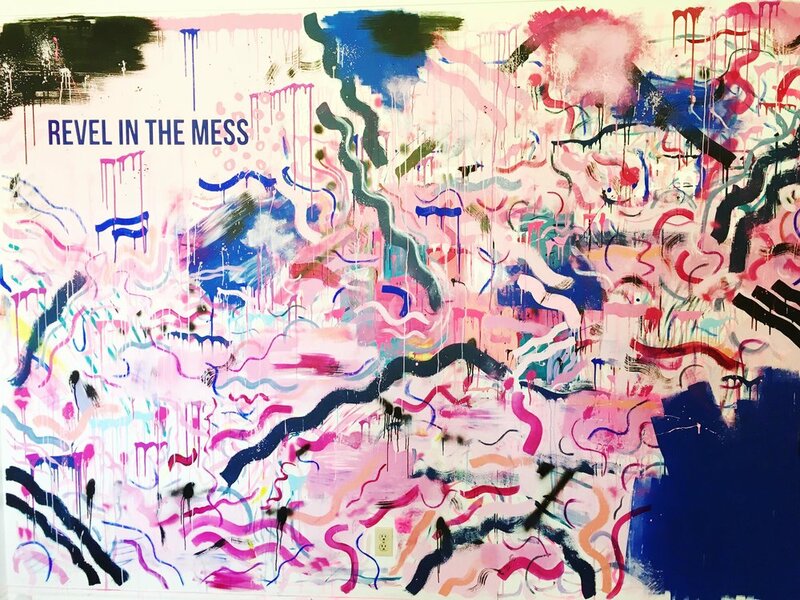 What joy can you find in the messes and making of? Share in the comments below.